It’s about connecting with your customers. All studies show that mobile browsing is on the rise. Users are spending more time on their smartphones and tablets than their desktops or laptops. It's no longer just about serving your information on beautiful desktop websites. It's about delivering your message on the go: concise, easy to read, and accessible. Simple icon-based navigation brings users to the exact information they need, when they need it. Users can point their phones to a QR code, connect with an app, or simply type in the URL. Instant, easy access! Encourage conversations and brand mentions with instant access to your Facebook page and automatically updated Twitter feed. Choose custom colors, upload your logo, select the most relevant icons and features and make your goMobi site exactly the way you want it. Let your personality shine through! You can update or change your mobile site any time you please. Share your opening hours, location, directions, business information, coupons, access to reservations, and more. The one-touch "call us" and "find us" options bring visitors to you quickly. You can even showcase your products on a mobile store! Integrate seamlessly with your Facebook and Twitter feeds. Add videos or publish high-quality image galleries on your mobile website. What’s more, goMobi will automatically convert and optimize your media content for any device! Bringing mobile site design to a whole other level! 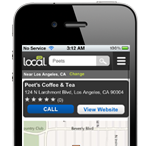 Show your customers where you are located, using the reliable Google maps plug-in. Automatically convert and optimize your videos for any device. Let customers read business reviews that have been added to Yelp and Foursquare. Create forms to suit your needs. Display your tweets on your mobile site; updates automatically. Publish high-quality images on your Mobile website. Make it easy for customers to call you with one click. Create special offers to entice your mobile customers! Let customers leave a message requesting information. Let your customers request a reservation. Get more traffic when visitors send a message with a link to your website. Maximize contact with customers. Get opt-ins for email and text messages. Customers can leave messages requesting a call back. Share your blog to the mobile world. Tell customers when you are open for business. Add pages anytime to highlight additional content. Share information on your services to help convert more leads. Publicize your events using Google Calendar. Don’t forget to share the fine print. Allow your mobile site visitors to select the language of their choice. Drive chat about your business by giving visitors access to your Facebook page. Simple and stress-free content editing, using the friendly WYSIWYG Control Panel tool. Upload your company logo and change your site's aesthetics and design to suit your brand. Direct users to the correct version of your site, depending on the device requesting access. Your site will be viewed flawlessly across thousands of mobile devices. Know where your traffic is coming from and where they’re visiting. Designers and developers can deliver great customized mobile sites. 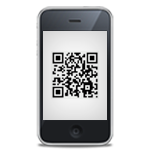 Promote your site with automatically created marketing flyers and QR codes. Support for Foursquare, Gowalla, Yelp, Google Places. Create a link to any other web pages that will compliment your business. Get seriously creative! Upload custom icons for each feature. Upload a bookmark icon that customers can use on their smartphone home screen. Live site preview so you can see edits to the site as you make them. Add specific keywords to each feature to improve ranking in search engines. Drive traffic by posting your site URL to Facebook or Twitter, or by emailing it. A variety of mobile templates to choose from to get you started with great designs. Select from a variety of icons sets to customize the look and feel of your site. Integrate Google analytics in one simple step. Include ads with Google AdSense and add revenue to your business. Add keywords to search engines can understand your business and you can grow traffic.